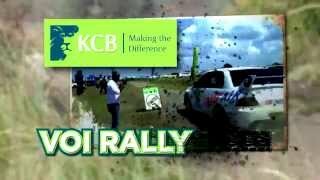 KCB has been the title Sponsor of the KCB Kenya National Rally Championship (KNRC) series run by Kenya Motorsport Federation (KMSF) since 2003. 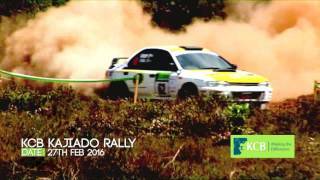 The year 2016 marks 14 impressive years of Rally sponsorship. 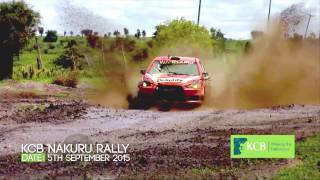 The KNRC series encompasses 8 Rallies per year. 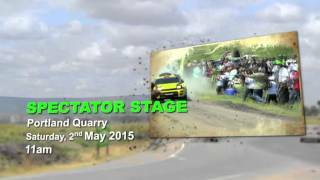 The legendary Safari Rally is one of the events in the KCB KNRC series. 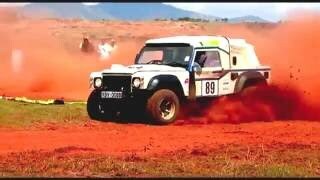 The Safari Rally began in 1953 and in 1968 it was the first international motor sport event to be flagged away by a head of state, Mzee Jomo Kenyatta. The KCB Safari Rally is part of the Africa Rally Challenge circuit that takes place in Ivory Coast, South Africa, Zambia, Tanzania, Uganda, Rwanda and Madagascar. In 2009, KCB East Africa Rally challenge was incorporated and comprised KCB Safari Rally- Kenya, KCB Pearl of Africa Rally- Uganda and KCB Mountain Gorilla Rally- Rwanda. 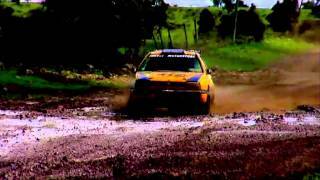 Between 2003 and 2013 the KNRC series has taken place throughout the country in areas such as in Embu, Eldoret, Eldama Ravine, Guru Nanak, Iten, Kabarnet, Kiambu, Kisumu, Kajiado, Kitengela, Machakos, Meru, Mombasa, Nairobi, Naivasha, Nakuru, Nanyuki, Nyeri and Voi. Between 2009 and 2012, KCB undertook a CSR event along with each Rally to support the local community and has contributed 15.2 Million (School books, learning equipment, IT equipment, desks, beds, water tanks, medical camps and equipment, foodstuff, renovation of classrooms, construction of toilet blocks, solar equipment’s etc). Sponsors: Libya Oil Kenya Ltd.